Here is part two of Beverage Events “10 Valentines Day Recipes You Can Drink!” We hope you enjoy this post and take a look at the references at the end to visit some of the great sites where we found some of these recipes. Share with your friends! This recipe comes to you from www.howsweeteats.com. Delicious and original drink for Valentine’s Day. 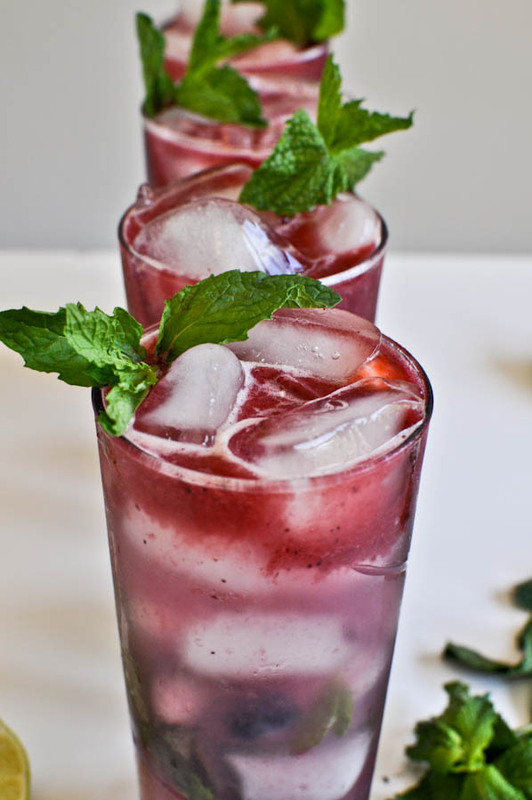 In the bottom of a glass, add 1 ounce of simple syrup and the mint leaves. Muddle with a muddler or use the clean bottom of something blunt, like a screwdriver! Add ice to the glass, a few berries, and pour rum, syrup, berry juice, lime and club soda over top. Mix with a long spoon or knife and serve with an additional sprig of mint. Note: depending on the sweetness of your fruit, you may want to add more/less simply syrup, so I suggest tasting as you go. Same with the rum – add more if you like your drinks strong. Also – if you simply want a blueberry, raspberry, OR strawberry mojito, follow the instructions using only that one fruit. Add berries to a blender with water and pulse until pureed. Pour through a strainer and press juice out with a spoon. You may need to add a bit of additional water if your fruit is not very ripe and juicy. You can also use a juicer to extract the juice, but I find that it produces much less juice. You can also simply mash your fruit, but I did not want seeds throughout my drink. Add all ingredients to a small saucepan and heat over medium heat just until it bubbles. Turn down to low for 2 minutes, then remove from heat and let sit for 15-20 minutes. Fill a short or tall glass ¾ full with ice. Add the vodka and sprite and stir. 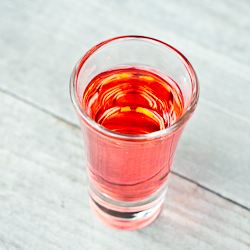 Top with just enough cranberry juice to turn the drink a transparent light pink color. Feliz Dia de los Enamorados! For those of you who “habla espanol,” that’s Spanish for “Happy Valentine’s Day!” Enjoy the Beverage Events twist on this classic Spanish drink and add a little flair to your Valentine’s Day party. In a large pitcher or bowl, mix together the brandy, lemon juice, lemonade concentrate, orange juice, red wine, triple sec, and sugar. Float slices of lemon, orange and lime, and maraschino cherries in the mixture. Refrigerate overnight for best flavor. 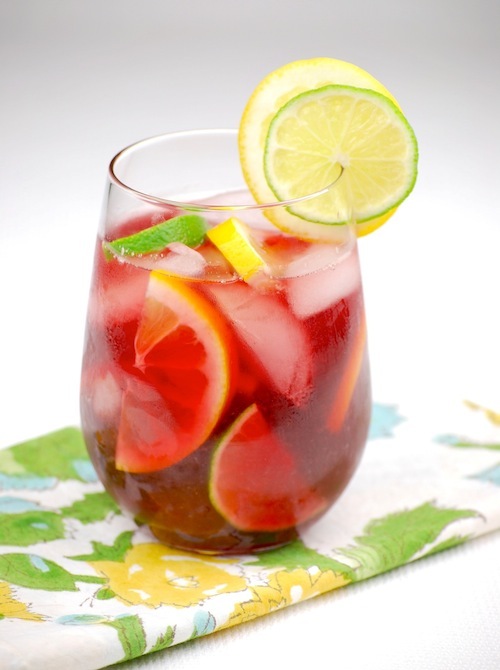 For a fizzy sangria, add club soda just before serving. Your guests are probably ready for desert after sampling all of your wonderful Valentine recipes so give the people what they want! Here is a shot the ladies will love and really tastes like cake! I have to admit I haven’t tried to make this one so hopefully the grenadine works out ok (haha). Pour in the Frangelico and the vodka and shake the heck out of it. Run a slice of lemon around the rim of the shot glass or highball then proceed to twist it in the sugar to line the rim of the glass. Strain the mix into the glass and run a small amount of grenadine to the bottom. Garnish with a lemon. Shoot then bite down. 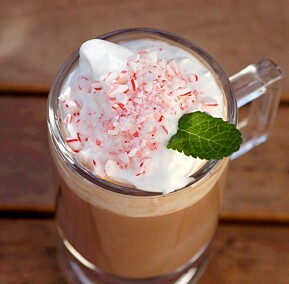 Warm up by the fire with your loved one while you sip on some Peppermint Love. This drink will warm your bones and your heart on a cold February night. Top with whipped cream and red sugar crystals. Here is a fun little way to jazz up your Valentine’s Day recipes. The gummy bear martini, if done right, tastes just like the famous gummy candy, invented in 1920 by Hans Riegel Sr., a candy maker from Bonn, Germany. The original candy was called “The Dancing Bear” and went on to become one of the most famous candies ever made. Allow Beverage Events to continue Han’s legend with our gummy bear martini! Cheers! 1. Fill an old fashioned cocktail glass ice and top with the peach schnapps, raspberry vodka, and sprite. 2. Give the mixture a quick swirl with a spoon or shake in a bartender shaker and garnish with a lime wedge. Add the gummy bears and serve. 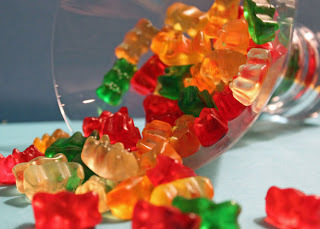 Note: Try this recipe with different vodka flavors to find your favorite gummy bear taste!